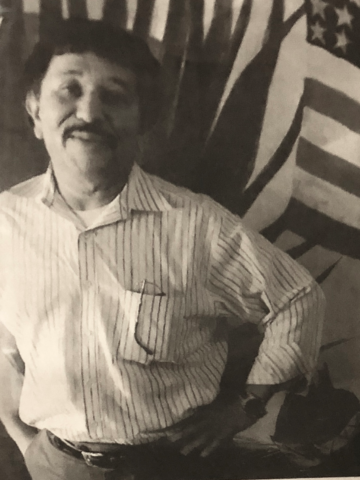 Jose Jesus Naranjo, age 67 passed away Tuesday, February 6, 2018. He is survived by his wife Carmen Naranjo; daughter, Roxana Naranjo Dolce; son, Joseph Naranjo; sisters, Francisca, Martha, Guadalupe, Rebecca, Ofelia, Antonia and Angeles; and brother Roberto. Jose was born August 4, 1950 in Jalisco, Mexico. Jose was a provider for all those he loved. He dedicated his life to taking care of the many people he held dear to him. Being married to his beautiful wife Carmen for 32 years and seeing his two children Roxana and Joseph graduate college, was among just a few of many accomplishments that Jose had. To his family and loved ones, Jose was the most caring and intelligent man there was. He started off as a mechanic at Marta in Atlanta, Georgia. Then, Jose’s entrepreneurial spirit led him to the opening of US Border Cantina, a Mexican restaurant, nearly 24 years ago. A major part of his life was spent adventuring with his son Joseph. The two enjoyed their days spent anywhere from watching “How it’s Made” on T.V. with their dog Toby to going out to the Nashville Auto Show together. Whether you knew Jose as a father, husband or friend, the memory of his compassion and hard work will forever be cherished. Visitation for Mr. Naranjo will be held Saturday, February 10th, from 11:00-2:00 at West Harpeth Funeral Home with a Celebration of Life Memorial Service to follow at 2:00.
my heart goes out to Mrs. Carmen and Roxana and Joseph ..i have known Jose for 24 years ans one thing that built our friendship was how he loved his family . so proud of his two children when he talked about them he glowed . . i may have lost a good friend heaven has gained a angel . Sending our love and prayers to Carmen , my beautiful daughter in law Roxie and Joseph. Carman I am so sorry. Jose was my dear friend and I will miss him so much. I have known Jose for 24 years when he open his doors at U.S.Border. I was blessed when they gave me him as my customer. We spent hours talking, having lunches and dinners together. Jose loved his family and was so proud of Roxana and Joseph and he loved his wife Carman. He told me once how beautiful Carman was and the happiness she has brought to him. He had the biggest heart and took care of his entire family. He was always there for family and friends. He always ask about my children and my grandchildren. My grandchildren thought every time they came to visit they needed to go see Jose’ at U.S.Border. He will be missed by all . He was a good man. God took him home , so he has no pain or suffering. He is among the angels in heaven. You are exactly right. He always asked about our daughter as well every time we saw him. My husband did a lot of metal/iron work for him at both of his stores and the outside eating area in Bellevue. Him and his wife became very dear to our hearts and even though we never had the privilege of meeting his wonderful children I felt as if we had he spoke of them so often and lovingly. He will be greatly missed he was one of the kindest, itellligent, most family oriented men I’ve ever met. Prayers are with his beautiful wife and family. I wish we had saw this before now would have loved to paid our respects. Lo siento mucho Tia Carmela y primos Roxana y Joseph. Mi Tio ya descanza y los cuidara siempre. Los quieremos mucho Familia Lopez Sandoval. Lo siento mucho Tia Carmela y primos Roxana y Joseph. Mi Tio ya descanza y los cuidara siempre. Los quieremos mucho Familia Lopez Sandoval. Y Godoy Lopez. Roxy, so sorry for your loss! Wish I would have had the opportunity to meet your father. We will keep your family in our prayers! God bless! Tía Carmen y primos Rox y Joseph, recordamos con mucho cariño las ocasiones que pudimos ver a mi tío en Nashville, lamentamos mucho su perdida y les mandamos todo nuestro cariño. Dios les dé la fortaleza y que mi tío descanse en paz. Carman, our thoughts and prayers go out to you. Jose always made our entire family feel special every time we visited U.S.Border. We so enjoyed hearing about Roxana and Joseph and all their adventures through the years. They were obviously the pride of his life. We shall be praying for you and your family as you travel through this time of grief and healing. Carmen, Joey & I am so sorry for your loss. We will miss Jose’s smile & laugh and as always the warm welcome to our home the U.S. Border. You and your family are in our thoughts and prayers at this time. You are a very strong woman you will find the strength to get through the days ahead. You have a wonderful family to help you. Find strength and love through them. Jose has gone home , but his love for you & his family will always remain here in your hearts forever! Before dying you had a lot of plans and objectives which you accomplished one by one with strength and tenacity. You saw your daughter Roxana and your son Joe grow up and become into a very successful person and your beautiful wife flaquis that was always there for you. Together you became a beautiful family. As being the big brother you knew you were the example of all of your brothers and sisters. I admired your decision of closing circles, like when you decided to change and become a business man, my brother Roberto encouraged you to enter to the business world, change your residence and start from scratch. Something that always encouraged you to keep on, was your beautiful family. In one of our long calls we had dreams , your were excited and we were supposed to meet this summer, and we are not going to do that anymore. God times are wonderful and surely had important plans for you. Go in peace brother and feel happy to be part of a wonderful family that which created. Don’t worry about them Roxana and Joe they will be okey and we will be checking on them and Flaquis that is like our own sister, will be safe and loved with us. I love you big brother and you will always be in my heart soul and mind. As the current Manager of the Food Inspector Division with the Health Department, I have known Jose since the very beginning of his ownership of his restaurant(s). Jose was very sincere with offering the best product, while maintaining food safety. He was a member of the former Food Safety of Excellence Committee in our County. He was a blessing to work with and called me often with concerns or advise. All I can say is that I miss you by friend! Ahora siento una gran tristeza porque ese sentimiento no lo puedo ocultar, mi hermano se fue y se que vive en mi y eso lo hace aún más difícil a su esposa y a mis sobrinos yo les deseo resignación y les pido, no lo olviden pues sólo así el morirá para siempre y aunque tenía su genio era una persona que cuando podía ayudaba a los demas sin esperar nada a cambio. El ya disfruta de la gloria de Dios, se fue su dolor y todo su sufrimiento. Hermano yo por siempre agradecida contigo te quiero mucho. Our heart goes out to Jose;s wonderful family! We feel like you guys are our family – Our guys grew up working at US Border and it was a staple for us eating there! You are in our prayers..
We are so sad to learn of the passing of dear Jose. What a delightful man. My wife Linda and I have been very regular customers and FANS of the wonderful U.S. Border Cantina. What a delightful place Jose provided for us and all his other loyal customers and friends. Jose never failed to ask us “how’s Scott?” Our son Scott and Jose easily “hit it off” and Jose always seemed truly interested in how he was doing. Scott has been a pretty regular customer, too. Our daughter Gwyn doesn’t frequent the Cantina quite as often as the rest of us but she is also a huge fan. When friends visit from out of town (especially Texas) they always ask if we can eat at the Cantina. Carmen, we admire you and your family so very much. Our thoughts and prayers are with you and the entire family. We, too, will miss him so! Querida familia Naranjo No hay palabras para expresar el dolor que sentimos al perder a un ser querido. Pero tampoco habrán palabra para expresar la alegría que sentiremos cuando Jehova lo devuelva a la vida. La Biblia nos ofrece consuelo en Juan 5:28,29 “ dice porque viene la hora en que todos los que están en las tumbas conmemorativas oirán su vos y saldrán estas palabras nos ayudan a ver que pronto viene el momento en que volveremos a verlos. En nuestro sitio Jw.org encontrará más información reconfortante. Faithful supporter for school programs in the community; year after year and any kind of school. Never once did he flinch or say the wish list was too much this year as volunteers came back to him for support. He was a most caring man, proud of his family and always there to help. A life well lived and he surely will be missed by many. Im so sorry for your loss. Jose was always so nice. When we had the Westview he was always a good advertiser and I loved seeing him out and about in Bellevue. He will be missed by everyone who knew him. Prayers for his family.